Posted by Mrs Weird Scientist in Human Body, Stem Cells, Tough Stuff. Some of my readers may not yet be menstruating while others have experienced their monthly period for years now (boys, you’re obviously excluded!). For a minority of girls, it’s a dreaded, monthly process of cramps but for most women, it’s accepted as just a necessary occurrence that allows us to experience pregnancy. It’s also a normal and natural part of growing up. But wait, menstrual blood might just have another purpose now! 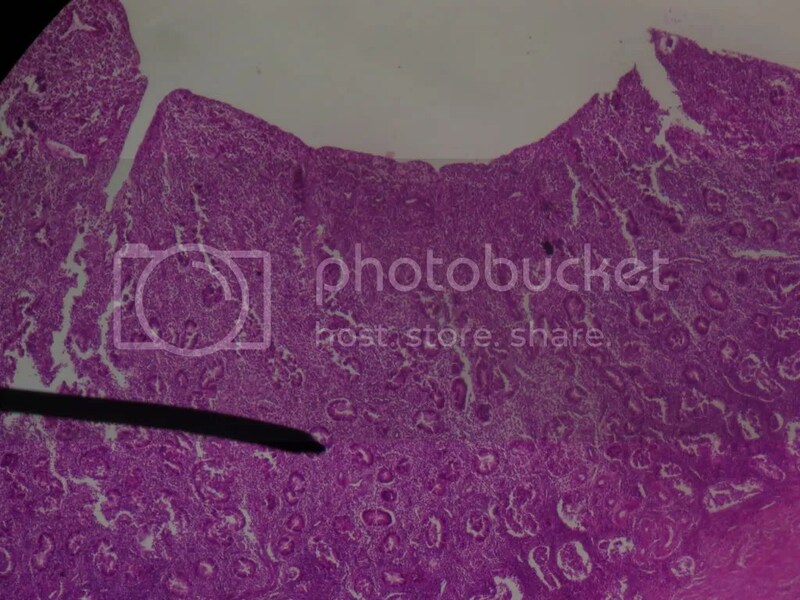 Ever wondered what your endometrium looks like under a microscope? Well, wonder no more and have a look at the picture above! My regular readers already know that stem cells are one of my favorite topics but let me tell you – I didn’t quite expect to learn what I did when I read one of the most recent studies on stem cells. It has been suggested that menstrual blood might be a viable source of stem cells. If you want to refresh your memory on stem cells, then check out my stem cells primers: What Are Stem Cells? and Where Do They Come From? Credit: U.S. National Cancer Institute’s Surveillance, Epidemiology and End Results (SEER) Program. Two different research groups have found endometrial stem cells in menstrual blood. 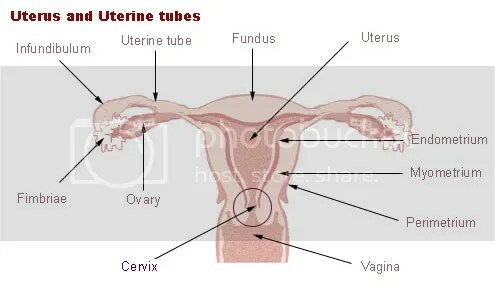 If you’ve forgotten, the endometrium lines the uterus. Each month, it is shed during menstruation and then prepares for a fertilized egg by growing into a 5 mm thick lining over the course of approximately one week. The lining itself has literally billions of cells, which researchers have been keen to use as a potential source of stem cells. An investigative lady named Caroline Gargett of Monash University in Victoria, Australia originally identified endometrial stem cells in the uterine lining. Unfortunately, actually removing the cells is a tricky process and also very invasive! Finding endometrial stem cells in menstrual blood, however, makes this process a whole lot easier! So how do the researchers actually know that the cells they have found truly are stem cells? If you think back, you will remember from previous posts that I talked about the special properties of stem cells. The cells identified by the researchers have these special properties, which means they can proliferate and differentiate. Struggling to recall what those two words mean? It means they can make copies of themselves and they can also become specialized cells. Generally speaking, the more studies done on the same thing that show the same results, the better! There is so much human error that can happen in a scientific study, so it makes the results more believable when different research groups obtain the same, or similar findings. Julie Allickson, a scientist at Cryo-Cell International in Florida, identified endometrial stem cells in menstrual blood but her work still has yet to be published, which means it hasn’t stood up to the peer review process. According to Allickson, the cells she identified showed the characteristic properties of stem cells. In another study, Xiaolong Meng and his colleagues at the Bio-Communications Research Institute in Kansas analyzed cells taken from the menstrual blood of two women. What did they find? They found that the cells showed characteristics of stem cells, such as proliferating quickly as well as differentiating into more specialized cells such as muscle and nerve. Identifying sources of adult stem cells is really important because it gives us more options for using stem cells to treat disease. Another issue is the danger associated with removing stem cells from the body. If you think about your bone marrow or uterine lining itself and then imagine surgery to remove those tiny cells, it’s really invasive! There are all sorts of risks associated with surgery, such as infection and side effects from anesthesia. If scientists can harvest stem cells from something like menstrual blood, it means fewer risks and complications for the patient. Another dilemma is the controversy surrounding embryonic stem cells – many people are against the use of embryonic stem cells, which means that finding valuable sources of adult stem cells is an important alternative! I think one of the fascinating things about finding new sources of adult stem cells is that your own body has the potential to save lives. Under the right conditions, your body’s stem cells can be coaxed to differentiate into specialized cells that could be used to treat a range of diseases. It’s also ironic, in a way, to think that each month menstruation occurs when your body doesn’t conceive a new life – yet your menstrual blood, rich in endometrial stem cells, has the potential to save lives. It’s one more thing that makes being a woman really cool!